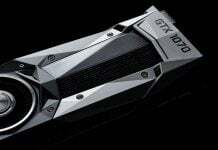 Rumors said that mobile variant of the new GTX 1070 should be almost as powerful as a desktop variant. 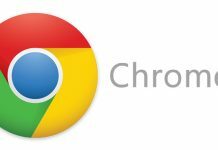 Now, when we had a chance of checking out first benchmarks of mGTX 1979, it seems that the mobile variant will indeed be very close to the regular edition performance-wise. 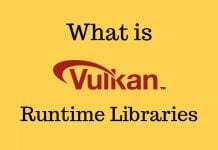 Equipped with 2048 CUDA cores, the new mobile card does have slightly lower clocks that its desktop brother, but that didn’t stop the card of reaching incredible heights in benchmarks. 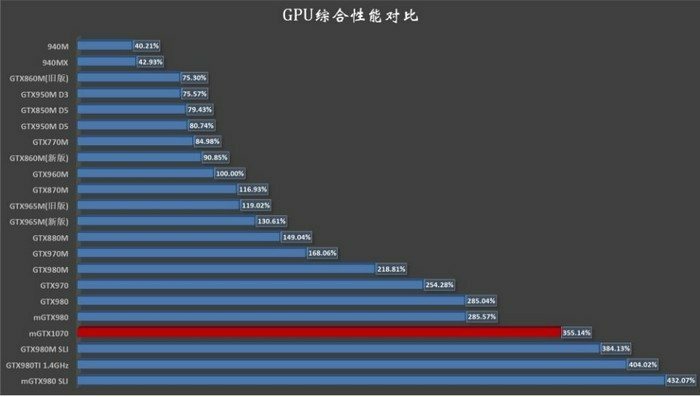 Looking at the numbers, it seems that mGTX 1070 is almost as powerful as GTX 980 Ti (yeah, you read it right), finally bringing a desktop-like performance to notebooks. 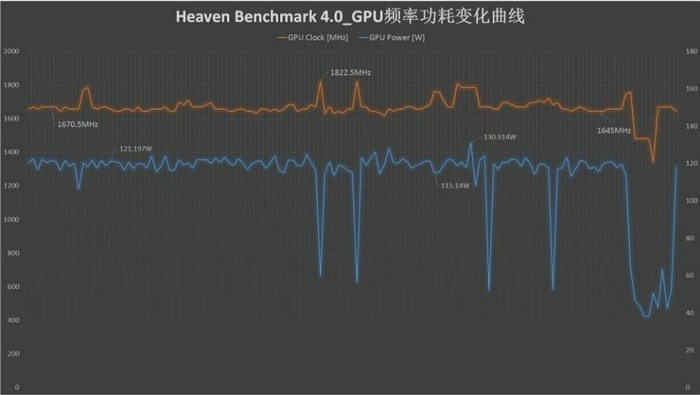 If we take a look at two charts below, it’s clear that new mGTX 1070 is around 70 percent faster than the mobile version of GTX 980, and around 200 percent faster than GTX 970M, a popular choice for gaming laptops. 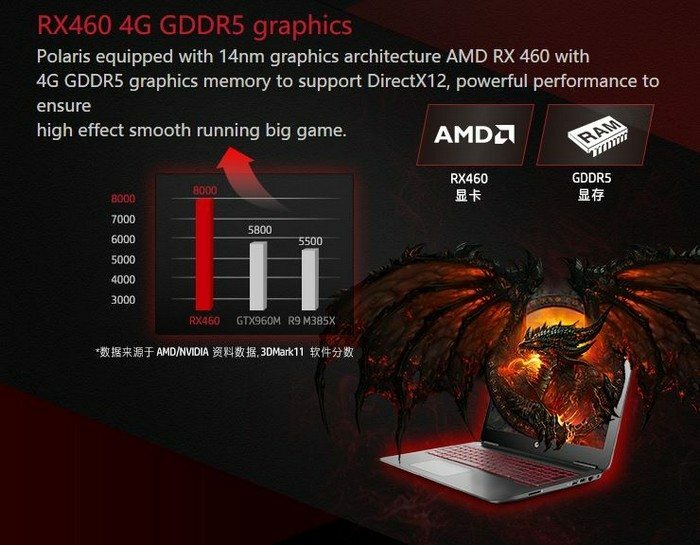 TDP should be around 110-120W (average consumption) and a boost clock of around 1650MHz, which is crazy. 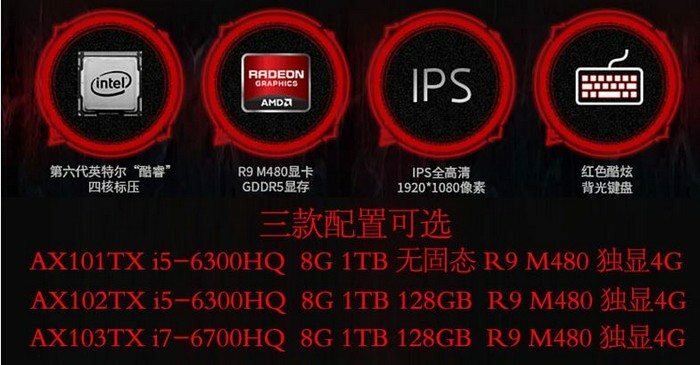 The second round of leaked info, also coming from China, shows specs of upcoming Radeon R9 M480. 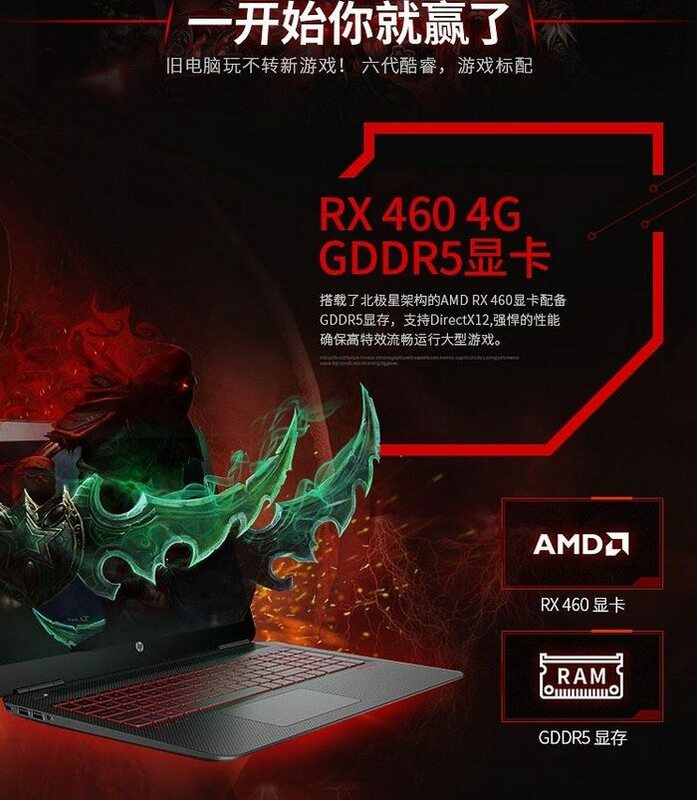 Leaks show that two upcoming notebooks from HP will use the card, but while one shows the card as R9 M480, other talks about RX 460. 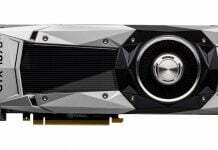 It could mean that the card will be as fast as desktop RX 460; not bad on its own, but if we compare it to mGTX 1070, it’s clear that Nvidia did much better job. 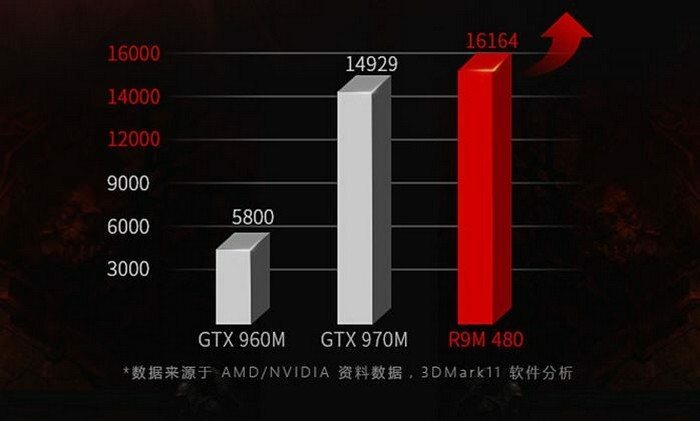 At least R9 M480 will be faster than GTX 970M, and should come with 4GB of RAM. 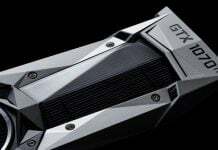 While the score difference isn’t as big as between GTX 970M and mGTX 1070, new Radeon mobile card should bring nice performance for (almost certainly) lower price that its Nvidia competitors will have, bringing respectful gaming performance to mass laptop market. 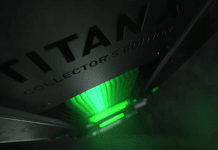 We can’t wait to see price tags of laptops that’ll come equipped with R9 M480 just to see will (almost) anybody be able to afford a laptop with powerful discrete graphics solution.